These 2 films are of course part of the Alien saga; the 1st and 2nd instalments. They are both highly respected movies, not only in the horror/sci-fi genre, but amongst most movie fans and their opinions on the greatest movies ever made. The original, Alien, is directed by Ridley Scott, and its sequel Aliens by James Cameron. The first follows a crew (including Sigourney Weaver as the heroine Ripley) on a spaceship as they discover an alien is on board and they must defend themselves against it. The second deals with Ripley and a group of marines as they battle a hoard of aliens (hence the title) on a desolate planet. I was always never sure which film I preferred, they are both amazing, but having just watched them both on Blu-Ray, I think I have made my decision, and here is how I reached such a conclusion. Both of the directors are respected masters and have put forth amazing films. Scott for Blade Runner andGladiator; Cameron for Terminator 2 and Titanic. But these alien movies were pretty much their first films, and you can still sense their styles. Alien has beautiful world-building (like Blade Runner) which gives it a unique tone, and has a definite sense of dread and tension. 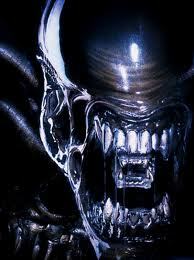 Aliens is very similar to Cameron`s Avatar in terms of his writing. It has a focus on the action and can be both light and fun or epic and intense. In terms of tone, these are essentially very different movies. 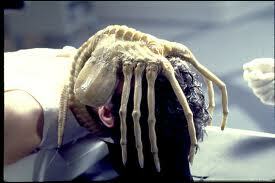 Alien has more focus on the horror and plays out like a haunted-house or slaughter film. 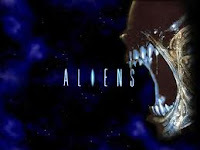 Whereas Aliens focuses on the action, has fun with its characters and premise. Both movies achieve levels of horror and scares through different means. Alien has less terrifying moments in terms of numbers, but this makes the ones that are there, seem more memorable (the dinner table scene, the air duct scene). Scott uses masterful tension to build up to these moments, in order to get the most amount of dread out of the audience. In Aliens, there are many more intense moments, and since there are numerous, it takes away from the scares each successive time. But Cameron juxtaposes the scary scenes with light dialogue and small character moments which gives the action more punch to it. Between the films, it’s the difference between a slow burn and quick bursts of energy. In terms of characters, Alien makes sure that all of the individuals are unique. It’s very easy to tell them all apart and understand their own traits. But I don`t believe that they go very deep. 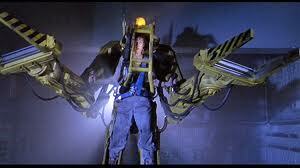 In Aliens, Cameron develops the character of Ripley to be much more than she was in the first. She becomes a full-fledged character and action heroine. Her relationship with Newt and even (for a moment) the mother-alien creates more interest. But Cameron does write all of the marines to be stereotypes and shallow. Granted, this was before these types of characters became clichés (like in Avatar),and it does have a purpose to have them be shallow and overconfident only to be immediately wiped-out by the first attack. WINNER: There are many other factors that contribute to this match-up, but I don’t have all day. Although both are wonderful, for now I prefer Cameron’s sequel to the original. I do love the set-design, the chest-pop scene and tension of the original, but I would rather take the epic scope (especially the final half-hour), stronger characters and sheer fun of Aliens. I understand that most people would lean towards Alien, since it is the original and the sequel doesn’t have as much tension. But I prefer the energy and excitement of Aliens. For now. Nevertheless, both are essential viewings and just be sure to stay away from the dreadful 3rd and 4th movies. On my flickchart accountAlien is my #100 and Aliens is #73.